Friday Faves #52 + A GIVEWAY! Happy first Friday of October! I’m so excited that fall is finally here! This weekend I’ll be busy putting out fall decorations and putting the finishing touches on my eBook. Just one more week to pre-order the eBook and get your special thank you gift! And I’ll be watching football, too: Clemson (where I got my PhD) plays Notre Dame on Saturday at Death Valley, and I’m really hoping that they can pull off an upset. Go Tigers! Fall colors! The leaves are starting to change color in Chicagoland, which means it’s the start of my most favorite part of the year. 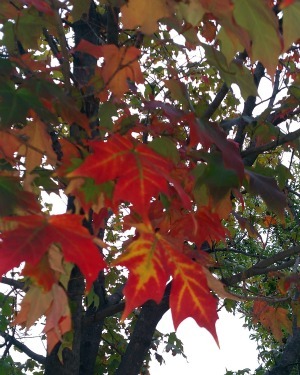 I can’t wait until the sugar maples really start to turn. I grew up with a sugar maple in my front yard and it was always the prettiest tree on the street when it started to change colors. Sweater weather. We’re starting to get fall weather here, too, which means it’s cool enough to wear layers, and for running in tights and long sleeves in the mornings. I prefer to run when temperatures are in the 40s (Fahrenheit), so this is absolutely prime running weather for me. So excited! I’m training for a 10K in a couple weeks (more on that below), so I’m really happy to have some good weather for training. Leg warmers! 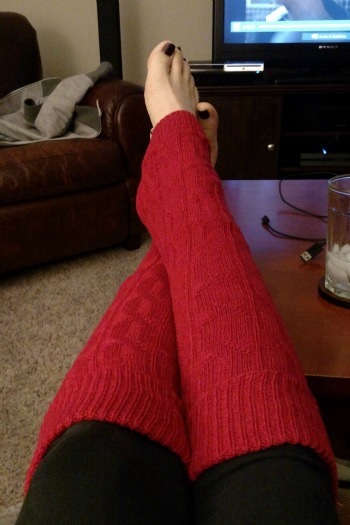 I got my first pair of leg warmers this week, a fall and winter Pure Barre staple. (And even got them in Pure Barre red. :)) We’re having 80s themed classes today at the studio and I’m so excited to dress up and have fun. Be sure to check my Instagram for photo documentation! My Pure Barre family. Speaking of Pure Barre, the community we have at our studio is seriously amazing. I had a rough weekend and start of the week, and the other teachers and clients were so kind to me. One even sent me a Facebook message asking if I was okay and offering support. I am so lucky to work in such an amazing place, and to have a job that I completely and wholeheartedly love. Friday Favorites bonus: I have an awesome Fit Kit goody bag to give away courtesy of RUN10FEED10! I’m excited to be serving as an ambassador for the Chicago RUN10FEED10 race, a 10K where 10 meals are donated for every race entry. (Full disclosure: I received a free race entry for being an ambassador.) 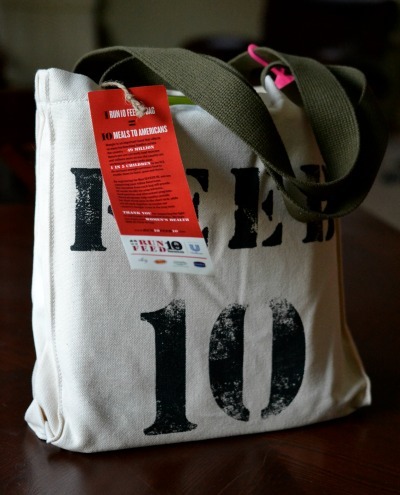 If you’d like to sign up for RUN10FEED10, especially if you’d like to join me on October 17th for the Chicago race, you can use coupon code R10F10PR for $5 off your registration! The Fit Kit is full of awesome goodies like a Blender Bottle, two issues of Women’s Health magazine, some snacks, parchment bags, and some other fun surprises. Enter below to win! Haha, yeah, you don’t meet too many fitness instructors with PhDs. 🙂 My degree is in Biological Sciences, and my research was in physiology and energeticts, looking at how cold-blooded critters use consume and use energy at different temperatures. Good times. 🙂 Thanks for the well wishes, Ashley! Happy Friday dear! I have some leg warmers, but they tend to fall down on me. SAD FACE. I wear them anyway. I have gorgeous purple legwarmers that I now need to find. I love yours in red! That’s so awesome, Kim! Can’t wait to hear all about the rest of your half marathons in your busy schedule! Such an awesome goal you’re finishing! Happy Friday, Beth! Those leg warmers look so warm and cozy. I’m running the Portland Marathon this weekend – my only race this fall, although I keep looking around at other ones because fall is my favorite running season! Yay!!! So excited to read your recap today, Laura!! Great giveaway. I’m loving those leg warmers! Those leg warmers look adorable! I’m happy it’s Fall as well, I love this weather for running. I’m definitely faster in this weather. Those leg warmers are super cute and I’m happy you get a chance to wear them. I have a brown pair, and I love wearing them to walk my dog when the weather is not cold enough for snow pant, but cold enough! To add to my last comment… I ran a charity race last week. I organized a team of co-workers to run at the CIBC Run for the Cure. Together we raised money going to the Canadian Breast Cancer Foundation. Yes and yes running tomorrow In the komen Phoenix run for a cure! Thank you so much for the bag of goodies!